Eurospar retailer Luke Creighan opens the latest The Natural Bakery Store in Manor Mills Shopping Centre. Ireland’s largest independent bakery chain, The Natural Bakery opened the doors to its 13th shop this month in Maynooth creating 10 new jobs. While the majority of The Natural Bakery sites are in Dublin, this will be the retailer’s second shop in Kildare. The new store will include a full on-site bakery with breads, cakes, and pastries baked fresh daily as well as a cafe serving up tea, barista coffee, and delicious sweet and savoury treats. There is a full scratch bakery in the store where customers can see the bakers at work making all the cakes and confectionary sold on-site. 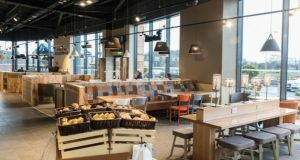 The second of The Natural Bakery stores to open up in Kildare, the Maynooth bakery welcomed the public for the first time on June 5, 2018 in Manor Mills Shopping Centre. Part of what made the opening so successful was the ability to bring staff from other locations in addition to hiring many before the launch “We have a lot of local staff,” says Luke. “Our website means we are able to advertise jobs and we were able to interview a lot of people before opening. Despite the constant struggle with staffing, The Natural Bakery must be doing something right to create and fill 100 jobs across five years in the business. 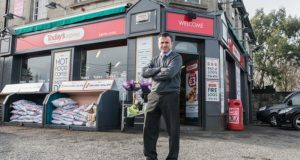 The idea for The Natural Bakery began in 2013 after a unit next door to Creighan’s Eurospar Kilmainham became available. “I decided to put a bakery into it and that is where The Natural Bakery came from. It just developed from there as a separate business,” says Luke. Taking inspiration from bakeries he had seen across Europe, Luke wanted to create a distinctively Irish brand serving the best quality product and coffee on the market. Going forward, Luke states that the company’s expansion plan will be slower as the business learns what works and what doesn’t work at every location. And what does work, Luke believes, is the full Natural Bakery offering encompassing quality coffee, quality bread, and quality cakes – all made from scratch. “They are the three main backbones of what we do,” he says. 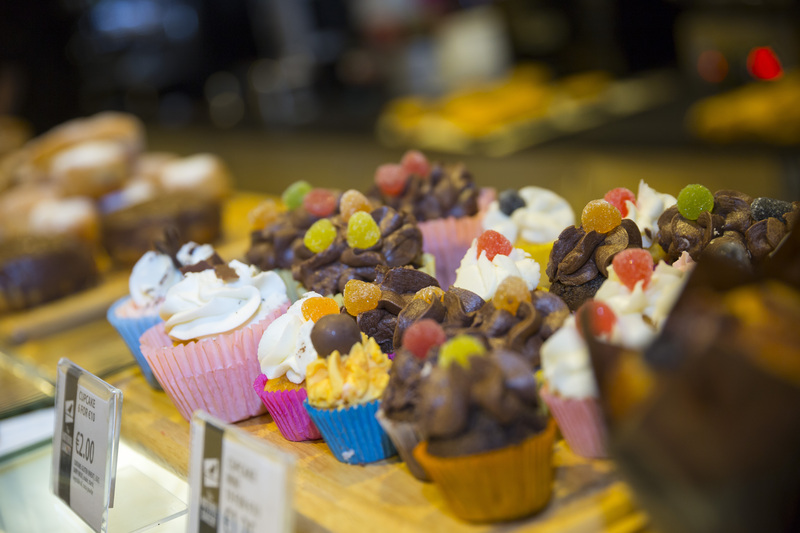 The Natural Bakery prides themselves on making their own products with all confectionery produced in each individual store, and bread baked at its Donnybrook site. Custom designed wedding and novelty cakes can be commissioned at the Stillorgan site and The Natural Bakery also has a website where their product range can be ordered to be collected at each individual store. “We have tried the click and collect in each store so you can order online on the website and collect it at any of our locations. The website enables customers to view our products and get all the information they need,” says Luke. Always scouting for new locations, Luke gets approached regularly due to The Natural Bakery’s leading reputation in Dublin. “Now we are in a few shopping centres in Dublin they know who we are and what we are offering so a lot of them want us in their centres,” he says. 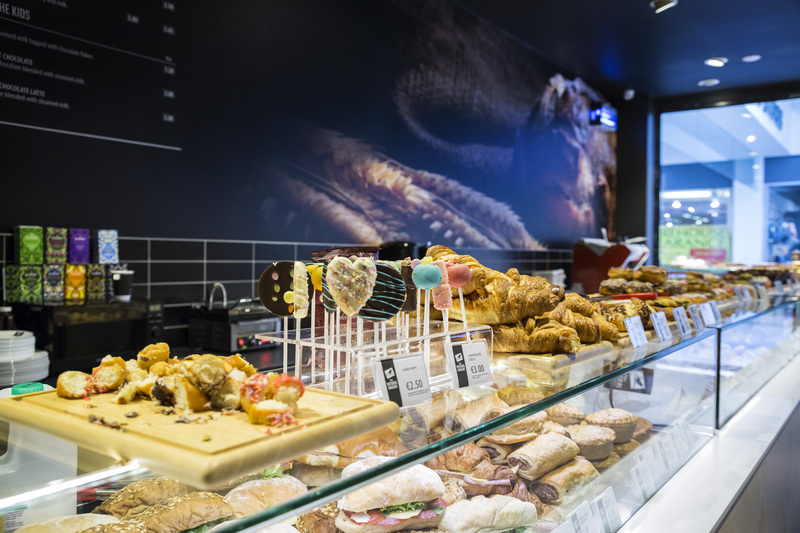 While the majority of The Natural Bakery locations are in popular shopping centres, and high street sites, the retailer is also open to a variety of types of locations including forecourts and service stations. IF&CR is keen to find out whether the addition of a second store in Kildare is a sign that The Natural Bakery concept could be growing its reach further outside of the Dublin area. Luke believes that more stores across Ireland could certainly be a possibility. Next: Make it special, make it simple.